The instantaneous process of social media is changing the way we interact with one another. We feel the need to constantly exhibit aspects of our everyday life; who we are spending time with, what we are doing, wearing, and even what we are eating. While similar images have existed in snapshots for generations before us, our present day connection with them has completely changed. Printed photo albums of the past have been replaced with an overflow of digital pixels that are often forgotten about soon after sharing. The physicality of old photographs give the images a precious quality that our current form of digital snapshots lack. Antique markets, yard sales, and even online servers like Ebay and Etsy have become flooded with unwanted or unclaimed photographs. These anonymous images that once had a place in someone’s life being displayed and shared, now lay in a picture graveyard waiting to be picked up by modern day collectors. As I sift through boxes of old photographs, I gravitate towards familiar images that evoke an emotion in me. I am fascinated by images that echo my own personal experiences whether it is through a common gesture, person, object, or landscape. A photograph of an unknown woman at the edge of a lake takes me back to a trip with my friend who stood in a very similar posture, in a comparable landscape. 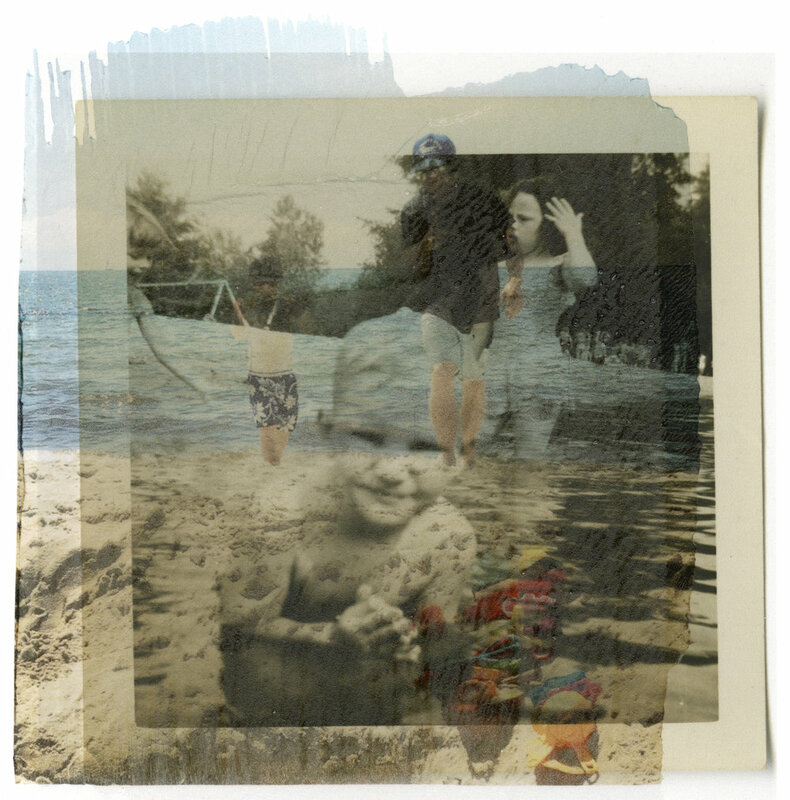 In merging the physical with the digital, I create emulsion lifts of my memories, shared on social media, and transpose them onto vintage snapshots. Embracing the imperfections of the emulsion lift, I manipulate the surface of my digital image to interact with the unidentified photograph. 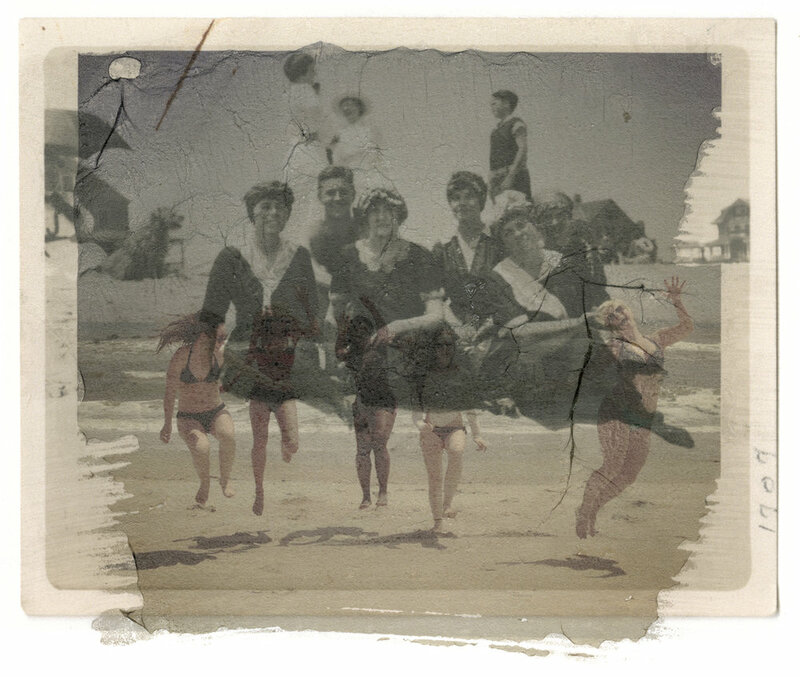 The contemporary colors bleed onto the faded and worn base of the old photograph, creating a new illustration of past and present. The interaction between these fleeting memories throughout the decades makes me think about the evolution of snapshot photography. What will happen to the candid pictures of our lives? Will the digital data simply disappear over time as past memories were relegated to a shoebox in an antique store?